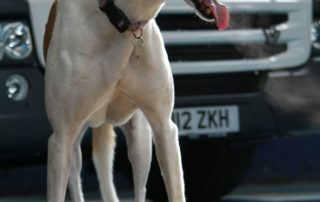 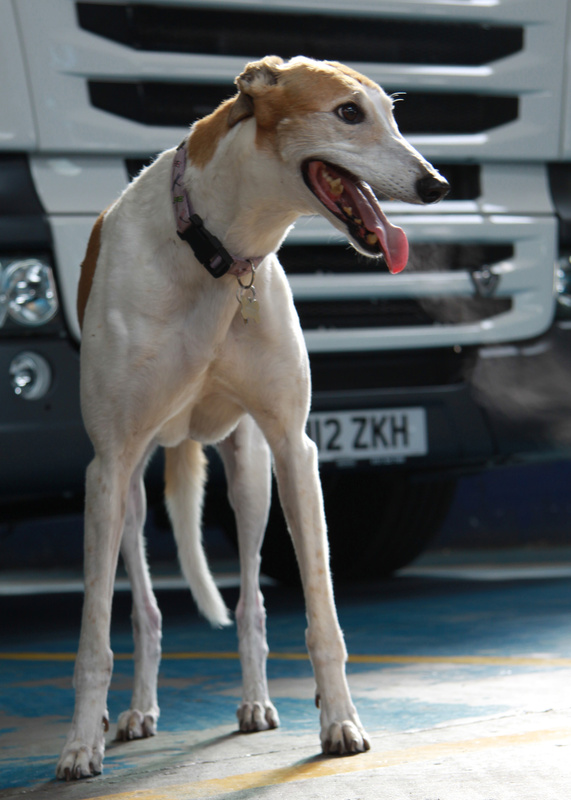 West Bromwich based truck dealer Keltruck has been paid a visit by former racing greyhound and photographic model Millie to promote a social event alongside Britain’s largest truck show. 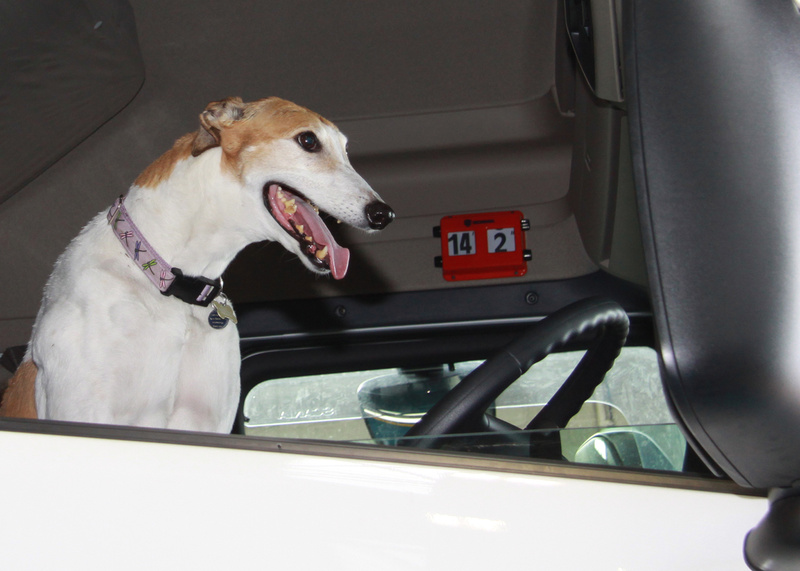 Exhibitors from The Commercial Vehicle Show will swap trucking and transport for a night of greyhound racing at Hall Green Stadium, where they have hired the entire grandstand next week. 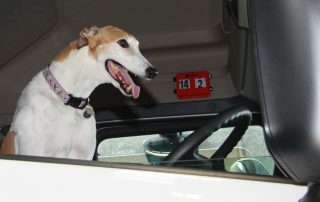 The Hall Green greyhound Millie, known to racing fans as Mary’s Millions, has been undertaking promotional work for the stadium. 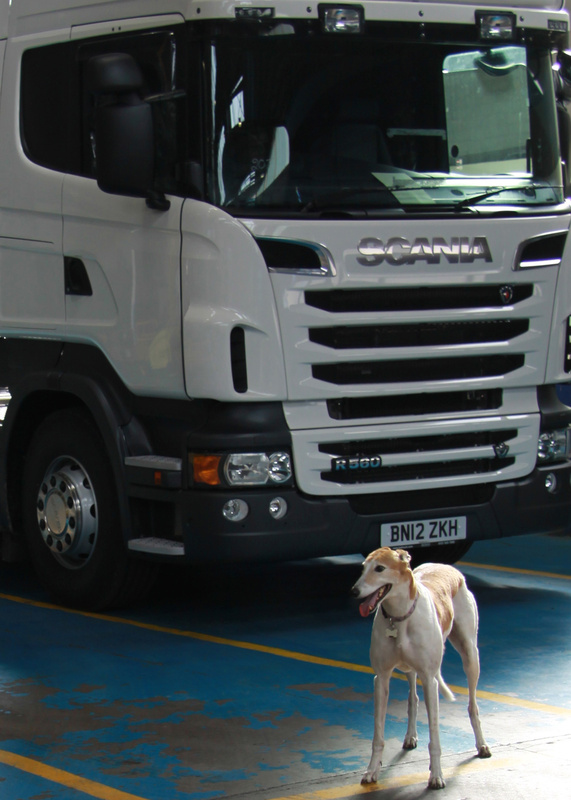 Keltruck, the world’s largest independent Scania dealer, is one of the big names exhibiting at the show. 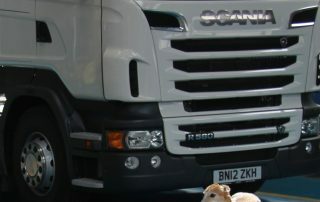 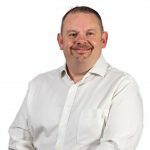 Marketing and Business Development Manager, Andrew Bentley, said: “We are looking forward to stepping away from the trucks and hitting the track next week, especially after a visit from Millie.